Washington, D.C. — The Federal Circuit ruled on two patent infringement decisions, Los Angeles Biomedical Research Institute v. Eli Lilly & Co. and Eli Lilly & Co. v. Los Angeles Biomedical Research Institute, that involve Indianapolis-based Eli Lilly and Company. These companion cases pertain to a pharmaceutical patent, U.S. Patent No. 8,133,903 (“the ’903 patent”), owned by Los Angeles Biomedical. Also at issue is one prior art reference, International Patent Application No. WO 01/80860, published Nov. 1, 2001, common to both lawsuits. The question remains whether a person of skill in the art would have had a reason to combine [the three cited references relating to the medical condition] and would have had a reasonable expectation of success from doing so. Because the Board’s obviousness analysis was based on an erroneous construction of the claim language and an overly broad interpretation of [one of the references], and because the Board did not address the record evidence summarized above, we remand for the Board to make new findings as to whether there was an apparent reason to combine the prior art references and whether that combination would have rendered [the treatment] obvious. Washington, D.C. – The U.S. Patent and Trademark Office (“USPTO”) recently announced the release of the Patent Application Alert Service. This system provides customized email alerts to the public for free when patent applications of interest are published. Additionally, the system offers direct access to the published applications that meet users’ search criteria. After receipt of these customized email alerts, the public may identify prior art for “pre-issuance” submission into these applications. The pre-issuance submission process was established under the America Invents Act and, to date, the Office has received more than 2,600 submissions across all technologies. More information on the pre-issuance submission program and how members of the public can participate can be found here. The idea for the patent application alert service came from a public roundtable held at the USPTO in April 2014 where the USPTO solicited input regarding the use of crowdsourcing and pre-issuance submissions to identify relevant prior art. The USPTO expects that this new service may be used to enhance the quality of examination and issued patents. Atlanta, Georgia — Verint Systems Inc. (“VSI”) of Melville, New York and its wholly owned subsidiary Verint Americas Inc. (“VAI”) of Alpharetta, Georgia (collectively, “Verint”) have sued Interactive Intelligence, Inc. of Indianapolis, Indiana in the Northern District of Georgia for infringement of twenty separate patents; these patents have been registered with the U.S. Patent Office. Verint is engaged in the business of inventing, developing, manufacturing, selling, installing, and/or distributing computer software and hardware products and systems. The products and systems are directed to, inter alia, the analysis, recording, monitoring, transmission, and/or security of electronic communications, such as telephonic, facsimile, and e-mail communications to and from contact centers and call centers which handle incoming and/or outgoing contacts with actual and prospective customers and clients. Verint’s technology can provide an end user with the ability to capture, analyze and act on large volumes of complex information sources, such as voice, video, and unstructured text, which can enhance the ability of organizations of all sizes to make better decisions based on such information. Verint’s main location for research and development relating to recording technology is located at VAI’s facility in Georgia. Verint’s products and systems are used by more than 10,000 organizations in over 150 countries, including over 80 percent of the Fortune 100. For example, Verint’s workforce-optimization and voice-of-the-customer solutions are designed to help organizations enhance customer-service operations in contact centers, branches, and back-office environments. This can increase customer satisfaction, reduce operating costs, uncover revenue opportunities and improve profitability. Verint uses its core competencies to develop highly scalable solutions with advanced, integrated analytics for both unstructured and structured information. Verint asserts that it has expended substantial resources inventing and developing this technology. Verint has licensed one or more of its patents to others in the industry through its Open Innovation Network (“OIN”) licensing program. Defendant Interactive, a competitor of Verint, is in a similar business. It manufactures, uses, sells, offers to sell, installs, distributes, exports, and/or imports computer software and hardware products and systems directed to and for use in connection with methods involving the analysis, recording, monitoring, transmission and security of electronic communications, such as telephonic communications to and from contact centers and call centers. Verint contends that it is the sole owner of all rights to the patents at issue in this suit: U.S. Patent No. 5,790,798 (“the ‘798 patent”); U.S. Patent No. 7,203,285 (“the ‘285 patent”); U.S. Patent No. 7,376,735 (“the ‘735 patent”); U.S. Patent No. 7,574,000 (“the ‘000 patent”); U.S. Patent No. 7,774,854 (“the ‘854 patent”); U.S. Patent No. 7,852,994 (“the ‘994 patent”); U.S. Patent No. 7,903,568 (“the ‘568 patent”); U.S. Patent No. 8,204,056 (“the ‘056 patent”); U.S. Patent No. 8,285,833 (“the ‘833 patent”); U.S. Patent No. RE41,534 (“the ‘534 patent”); U.S. Patent No. RE43,324 (“the ‘324 patent”); U.S. Patent No. 8,401,155 (“the ‘155 patent”); U.S. Patent No. 8,359,434 (“the ‘434 patent”); U.S. Patent No. 8,345,828 (“the ‘828 patent”); U.S. Patent No. 8,275,944 (“the ‘944 patent”); U.S. Patent No. 8,204,053 (“the ‘053 patent”); U.S. Patent No. RE43,386 (“the ‘386 patent”); U.S. Patent No. 8,130,926 (“the ‘926 patent”); U.S. Patent No. 6,404,857 (“the ‘857 patent”) and U.S. Patent No. 6,510,220 (“the ‘220 patent”) (collectively, “the Patents-in-Suit”). Verint believes that Interactive is, in various ways, infringing upon the Patents-In-Suit. In a letter to Interactive dated September 13, 2010, VSI invited Defendant to participate in its OIN. The OIN is a licensing program under which VSI offers to grant a worldwide license to its portfolio of patents directed, in part, to the analysis, recording, monitoring, transmission, and/or security of electronic communications. In its September 2010 letter, VSI provided Interactive with claim charts showing how Interactive’s activities fell within the claim scope of various patents within the OIN. Over the course of several months, several more letters were sent by VSI to Interactive, inviting it to participate in the OIN. No agreement was reached. The current lawsuit was subsequently filed by Verint. (e) actively inducing one or more of the activities identified in subparagraphs (a) through (d). In the complaint, patent attorneys for Verint assert that Interactive had actual knowledge and/or notice from a time prior to the filing of the present complaint of at least the following: the ‘798 patent; the ‘285 patent; the ‘735 patent; the ‘000 patent; the ‘854 patent; the ‘994 patent and the ‘534 patent. It is also alleged that Interactive’s acts of infringement have been carried out deliberately and willfully, without the consent of Verint, at least with respect to the ‘798 patent; ‘285 patent; the ‘735 patent; the ‘000 patent; the ‘854 patent; the ‘994 patent and the ‘534 patent, entitling Verint to treble damages under 35 U.S.C. § 284. Verint further contends that this is an exceptional case entitling Verint to an award of attorneys’ fees under 35 U.S.C. § 285. Plaintiff Verint asks for a judgment that Defendant Interactive has been and is infringing, is contributing to the infringement of, and is actively inducing infringement of the Patents-in-Suit; preliminary and permanent injunctive relief against such infringement under 35 U.S.C. § 283; damages, including treble damages, by reasons of Defendant’s acts of purportedly deliberate and willful infringement; attorneys’ fees; and costs, including expert witness fees. Practice Tip: Verint is no stranger to the value of intellectual property. It utilizes more than 1,000 employees and contractors in research and development throughout the world, and has obtained or filed more than 570 patents and applications worldwide. In its last fiscal last year, Verint obtained issuance or allowance of 60 patents and applications in the United States. Verint is also no stranger to intellectual property lawsuits. In 2008, a Georgia jury found that NICE Systems Ltd. had infringed Verint’s U.S. Patent No. 6,404,857 and awarded Verint $3.3 million in damages. A week later, in a separate lawsuit, Verint was found not to have infringed NICE’s U.S. Patent No. 6,871,229. There have been at least three other patent infringement lawsuits between Verint and NICE. There were rumors in January that NICE was negotiating to acquire Verint Systems, Inc.
Washington, D.C. – The United States Supreme Court has unanimously reversed a patent decision by the Court of Appeals for the Federal Circuit and has held that patent claims that are a “law of nature” are not patent eligible under 35 U.S.C. § 101. The decision built upon the Court’s 2010 decision in Bilski v. Kappos. Patent lawyers for Prometheus Laboratories, Inc. of San Diego, California filed a patent infringement suit against Mayo Collaborative Services, doing business as Mayo Medical Laboratories of Rochester, Minnesota, alleging that Mayo infringed patent no. 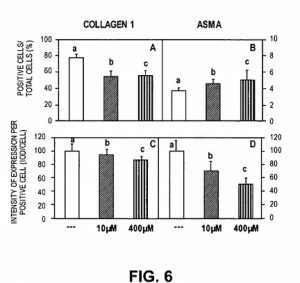 6,355,623, Method of treating IBD/Crohn’s disease and related conditions wherein drug metabolite levels in host blood cells determine subsequent dosage and patent no. 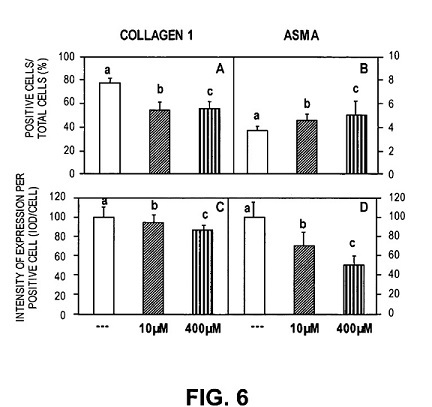 6,680,302, Methods of optimizing drug therapeutic efficacy for treatment of immune-mediated gastrointestinal disorders which have been issued by the US Patent Office. The patents at issue involve claims over an observed correlation between certain blood tests and patient health, specifically the correlation between the level of certain drug metabolites in the patient’s blood and the patient’s symptoms of gastrointestinal disease. 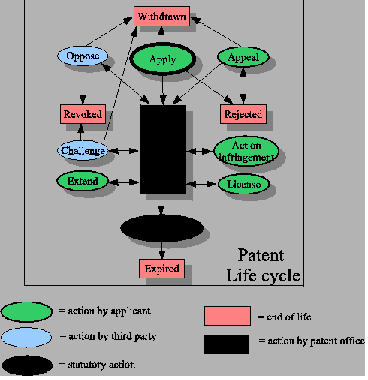 The Court of Appeals for the Federal Circuit had twice ruled in Prometheus’s favor. Oral arguments were held December 7, 2011 at the United States Supreme Court. The Court decision essentially held that Prometheus’s “invention” was not patentable because it was effectively a law of nature. In other words, the relationship between the dosages and the effect on patient health was a natural phenomenon and therefore, unpatentable. We blogged a preview of this case in October. This ruling is being criticized by the patent bar as making the law less clear. In particular, Robert S. Sachs of Fenwick & West LLP is examining the decision in a series of blogs on Patently-O in which he examines “just some of the logical and legal errors in the Court’s decision.” Sachs commentary also suggests that numerous patents should now be found invalid. Practice Tip: The Court’s decision has immediately changed protocol at the patent examination office. The US Patent Office has issued new guidelines to patent examiners which are available here. Indianapolis, IN – Patent attorneys for Digonex Technologies, Inc. of Indianapolis, Indiana has filed a patent infringement suit in the Southern District of Indiana alleging that Qcue Inc., of Austin, Texas infringed patent numbers of the 8,095,424 and 8,112,303, which have been issued by the US Patent Office. The plaintiff claims that the defendants sell dynamic pricing software products aimed at pricing tickets for events by a variety of names “Dynamic Pricing Dashboard,” “the Qcue Product,” and “software-based dynamic pricing solution” that infringe the patents held by Digonex. The technology is apparently marketed to sports teams and event promoters. The complaint alleges that Qcue has sold infringing products to Major League Baseball, Major League Soccer, National Basketball Association, National Hockey League and NASCAR. The complaint makes two claims of patent infringement and seeks a declaration of infringement, an injunction, damages, attorney fees and costs. The complaint also alleges that Qcue has the specific intent to induce others to infringe Digonex’s patents. Practice Tip: The complaint alleges that Qcue has referenced the two Digonex patents in a Qcue patent application pending before the US Patent Office. This, in part, is Digonex’s “evidence” of willful infringement. Also, Patent Office’s records reveal that in prosecuting the 8,095,424 patent it submitted an Information Disclsosure Statement on September 30, 2011, after the claims had been allowed. However, the Patent Office refused to consider the IDS becuase it did not comply with Patent Office regulations. Therefore, there may be some question regarding the validity of this patent. Washington, DC – A recent decision in the Federal Circuit Court of Appeals in a legal malpractice claim involving a patent issue may have an impact on a recently filed Indiana case alleging patent attorneys committed legal malpractice, which was filed by Purdue Research Foundation late last month. In Byrne v. Wood, Herron & Evans LLP, the Federal Circuit Court of Appeals vacated a summary judgment in favor of the law firm Wood, Herron & Evans, and remanded to the lower court for further proceedings. The plaintiff sued the law firm for legal malpractice for failing to secure a patent that was broad enough to secure his invention of a grass and weed trimmer. The plaintiff claimed that due to the law firm’s failure, he later lost a patent infringement lawsuit against Black & Decker. The court below granted summary judgment for the law firm, based in part on its decision that Mr. Byre was not an expert witness. The appellate court also briefly took on the question of whether the federal courts have jurisdiction to hear legal malpractice claims, typically arising out of state law, when a patent issue is intertwined. The Court, citing Davis v. Brouse McDowell, L.P.A., 596 F.3d 1355 (Fed. Cir. 2010), confirmed that it did have jurisdiction over this case. However, the court acknowledged that other courts had disagreed. The opinion is designated “non-precedential.” This was an appeal from the Eastern District of Kentucky. Practice Tip: The basis of the legal malpractice claims in the Purdue case are substantially different that here, however, this case confirms that in most situations involving a patent issue is appropriate for the federal courts to hear legal malpractice cases. Indianapolis, IN – A patent infringement judgment from the Southern District of Indiana will be reviewed by the Federal Circuit Court of Appeals. In May, Chief Judge Richard L. Young of the Southern District of Indiana issued a verdict and judgment in favor of plaintiffs Alcon Research Ltd., Alcon Laboratories, Inc., both of Fort Worth, Texas and Hakko Kirin Co., Ltd. (f/k/a Kyowa Hakko Kogyo Co., Ltd.) of Tokyo, Japan, after a bench trial on the plaintiff’s patent infringement claims against Apotex, Inc., of Ontario, Canada and Apotex Corp. Weston, Florida. Alcon filed a complaint alleging Apotex infringed patent no.5,641,805, TOPICAL OPHTHALMIC FORMULATIONS FOR TREATING ALLERGIC EYE DISEASES, which has been issued by the US Patent Office. Chief Judge Young presided over a bench trial April 26, 2010 to May 7, 2010, and final arguments were presented to the court on August 3, 2010. 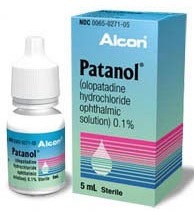 The Court found that plaintiffs had “proven, by a preponderance of the evidence, that the Defendants’ generic equivalent of Plaintiffs’ patented allergy topical ocular medication, Patanol®;, infringed claims 1-8 of the ‘805 patent[,]” and that the defendant failed to show, by preponderance of evidence, that the patent claims were invalid. The court also found that the defendants failed to prove, by preponderance of evidence, that the ‘805 patent is unenforceable due to inequitable conduct. Apotex has appealed the case to the Federal Circuit Court of Appeals (docket number 2011-1455). Apotex’s brief was filed on October 3, 2011, and Alcon’s brief is due on December 23, 2011. Practice Tip: One of the defenses raised by Apotex was to claim the patent was unenforceable due to inequitable conduct. Apotex claimed that one of the inventors of the ‘805 failed to disclose results of certain tests and other data in the patent application. Apotex claimed the inventor as well as the attorney who filed the patent application violated their duty of candor to the PTO, which is imposes pursuant federal regulations 37 C.F.R. § 1.56(c). Alcon, however, presented evidence that the tests in question were believed to be inconclusive and that the inventor simply forgot about another test. Under the totality of circumstances, the court found that a finding of deceptive intent was not warranted. The court, therefore, declined to find that the patent should not be enforceable under the theory of inequitable conduct. In addition, the court held that Apotex could not raise an additional theory of invalidity – invalidity for lack of a written description – until after the trial. The court found that the late disclosure had prejudiced the plaintiff and therefore refused to consider the new theory. Lafayette, IN – Attorneys for the Purdue Research Foundation (“PRF”) of West Lafayette, Indiana have file a suit against the law firm of Morrison & Foerster, LLP alleging that Morrison & Foerster filed a patent application without PRF’s authorization, specifically for patent PCT2009/060273 and misappropriated trade secrets in the course of filing this patent application. PRF filed the original complaint in Tippecanoe County Circuit Court on October 7, seeking a permanent injunction to prevent Morrison from continuing the patent application, on which Morrison listed itself and PRF as the co-applicants. The original complaint alleges that Morrison continued to breach its fiduciary duties to PRF through continuing to prosecute the patent application. Morrison filed to have the case removed to federal court, arguing that the case involved the federal questions of the inventorship of the claimed invention under the ‘273 patent. Practice Tip: In this case, PRF has alleged that Morrison owed it a fiduciary duty since Morrison filed the patent application and listed PRF as a co-applicant. Morrison disputes that it owed a fiduciary duty to PRF and states that any existence of a fiduciary duty would be governed by the Code of Federal Register, thus creating a federal question. In addition to this federal question, Morrison states PRF’s complaint is really an “inventorship” dispute, which is also a federal question.